The Alaska Federation of Natives will be holding its annual convention in Anchorage, and we couldn’t be more excited. For 52 years, AFN has been representing and positively impacting the community. The convention addresses important public policy and government issues. It gives the Alaska Native community a voice and opportunity to participate in important topics and discussions. The public is also welcome to attend as spectators, and they can also visit the exhibits and art fair, featuring Alaska Native and American Indian artwork. In addition, Quyana Alaska is one of the most celebrated traditional dance performances that takes place during the convention, where ensure exposure and are showcased. To celebrate the community and culture, Aptel Studio Hotel will be offering a special rate for lodging to all participants. We are conveniently located 1 mile away from downtown Anchorage, 7 minutes away from the convention, and surrounded by lots of things to do. Aptel is great for business travelers, families and friends alike, and we are proud support the Alaska Native organizations and culture. Whether you are only in town during AFN, or choose to stay additional days, we offer affordable extended stay options. 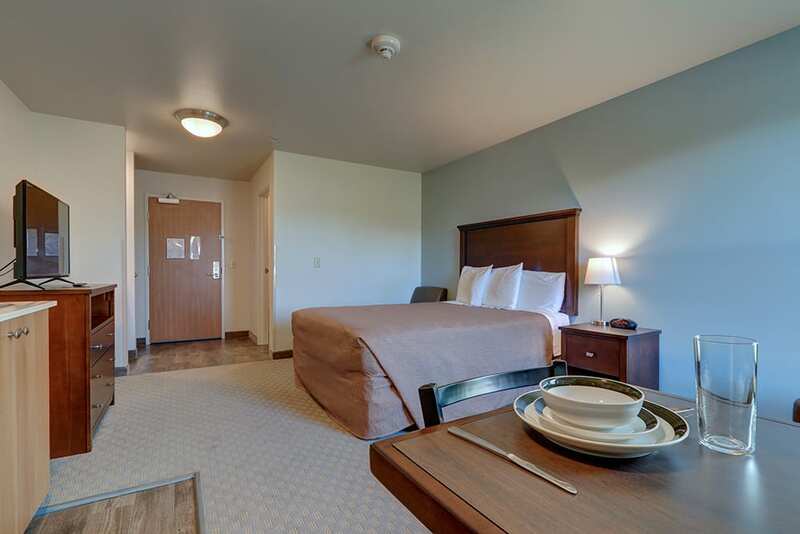 This provides travelers with a greatly economical, yet clean and comfortable stay. We also offer convenience to our guests. With kitchenettes in every room with a large refrigerator, microwave, stove and other kitchen basics, you can enjoy a quiet evening cooking in your hotel room after the hustle and bustle of AFN. Aptel understands the importance of the AFN Convention to the Alaska Native community. We are happy to be exposed to the culture that the AFN brings to Anchorage, and we are proud to support the attending organizations. For those who cannot make it to the convention, AFN offers an app or you can follow along on social media using the convention’s hashtags #2018AFN and #NattiveInnovation. For more detailed information on the schedule and other events, visit the AFN Convention’s website.